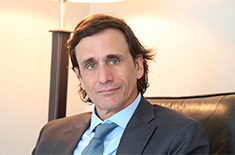 In Argentina, López Saavedra is a distinctive “trademark” in the insurance and reinsurance specialty. It was born in 1960, with Domingo Martín López Saavedra. Our trademark and prestige have been maintained and increased thanks to the work and the reputation of Domingo, Mariano and Diego López Saavedra, and Ignacio Villarroel. 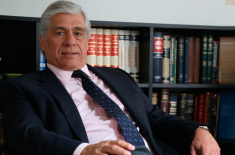 The López Saavedra acted as consultants for the World Bank in 1997-1998, when they were awarded an international private bidding organized by said Bank, for the amendment of Laws No. 17.418 and 20.091, which regulate the Argentine insurance and reinsurance activity. In due course, the draft amendment of both these laws was presented to the competent authorities. 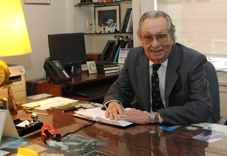 Domingo M. López Saavedra is a legal scholar with a recognized national and international trajectory. He has authored numerous works, the most outstanding of which are “El Contrato de Reaseguro” [The Reinsurance Contract] and “La Ley de Seguros Comentada y Anotada” [The Insurance Act, with Comments and Annotations]. 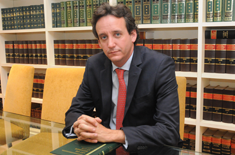 From 2002 to June 30th, 2016, Domingo, Mariano and Diego López Saavedra, as well as Ignacio Villarroel, were partners in the López Saavedra, Armando, Esnaola & Vidal Raffo Law Firm. From July 1st, 2016, the López Saavedra, together with Ignacio Villarroel, formed the new legal firm “López Saavedra & Villarroel”. The firm is focused on providing advice and personalized services to their clients in the insurance and reinsurance industry, with a high degree of professionalism and efficiency. Our partners have participated in the solution of highly complex matters with a great economic impact which occurred in Argentina, in the areas of property, energy, operations all risk, construction all risk, liability, D&O and loss of profits. They have also intervened in complex matters derived from maritime and aeronautic accidents. The firm is also connected to renowned law firms in neighboring countries, the United States and Europe, to where the partners travel on a regular basis to assist in the matters entrusted to them by their clients, and at the same time, to maintain ongoing communication with the main international insurance and reinsurance markets. 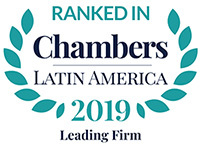 Since November 2017, “López Saavedra & Villarroel” has an association with DAC Beachcroft an international british law firm leader in insurance and reinsurance with offices and associations worldwide. DACBeachcroft is a founder of LEGALIGN GLOBAL, a close alliance of four of the world’s leading insurance law firms that responds directly and effectively to the need for service consistency and the highest levels of quality and efficiency, wherever matters arise. Working with DAC Beachcroft expands our international presence in the insurance and reinsurance sector, providing a strong network for clients worldwide.